The UK members of the European Federation of Biotechnology and the Learned Society Partnership on AMR are hosting a Policy Lates event on Monday 10th October as part of Biology Week: Tackling antimicrobial resistance crisis – what roles will regulation and innovation play? 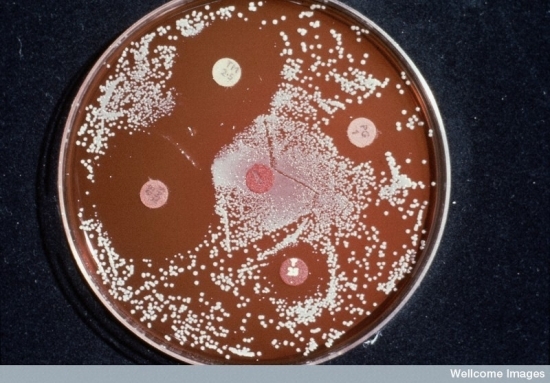 Antimicrobial resistance (AMR) is one of the greatest threats facing global public health. At present, 700,000 people die from resistant infections worldwide each year. With dwindling supplies of antibiotics, no new drugs coming to market, and a lack of truly point-of-care diagnostic tests than can be used in any healthcare setting, there is a great need for novel, innovative ways to tackle the problem. The Longitude Prize is the UK’s biggest science prize, a 5-year challenge with a £10 million prize fund, and a 300 year legacy. It commemorates the anniversary of the Longitude Act of 1714, the first British challenge prize, which offered the public £20,000 to solve one of the biggest global problems of the time, determining longitude at sea. In 2014, the new Longitude Prize, instigated by the Astronomer Royal in the UK, Lord Martin Rees, was launched after a public vote selected antibiotic resistance as the global issue to be resolved. The Prize aims to conserve antibiotics for future generations, revolutionising global healthcare. 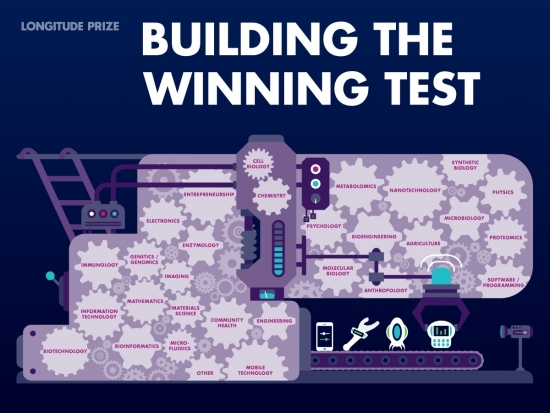 It is looking to award one prize of £8m to a team that can develop a transformative, accurate, affordable, rapid, point-of-care diagnostic test that is easy to use, anywhere in the world. The prize approach of encouraging new innovators from any background to work in the AMR space ensures a diversity of approaches to idea generation. The prize promotes this cross-discipline approach by actively reaching out to a range of disciplines and sectors, across a number of countries, and encouraging new collaborations. So far we have seen many collaborations and consortia register to win the prize, combining skills from traditional sectors such as diagnostics, microbiology and molecular biology, with engineering, physics, chemistry and business. These collaborations also bridge the gaps between academia, industry and individuals. We currently have 205 teams working on ideas from 39 countries and hope to encourage many more before the last deadline in November 2019. Recognising these new collaborations often struggle to access traditional funding sources, we help teams through providing small seed grants, alongside other non-financial support. Through encouraging open innovation, the prize should lead to the development of a diagnostic test that will have a significant global impact on antibiotic use and therefore reduce resistance. However, to fully tackle the problem, innovation is needed across all aspects of antibiotic use. We are starting to see such innovations in drug discovery, with alternatives to antibiotics such as bacteriophage therapy and the use of nanoparticles to treat bacterial infections. Similar innovation will be needed to curtail the overuse of antibiotics in agriculture, be that changes in intensive farming practices that reduce the reliance on prophylactic antibiotics, or the implementation of diagnostics for diseased animals that may require treatment. Innovation would also be useful to help devise a sustained global public awareness programme, as recommended in Lord Jim O’Neill’s recent AMR Review. For our part, we work with broadcasters, science festivals, science centres as well as trade and general media to try and keep noise levels up, and recently launched an app based game to appeal to younger audiences about the problem. Whilst a prize approach may not be suitable for all aspects of the fight against AMR, the overarching principle of prizes encouraging open innovation from anyone, anywhere in the world, allows access to a wide range of potentially ground breaking solutions. At the Longitude Prize, we hope that open innovation can be used to identify novel ways to reduce the spread of antibiotic resistance to ensure that antibiotics continue to be available for generations to come.